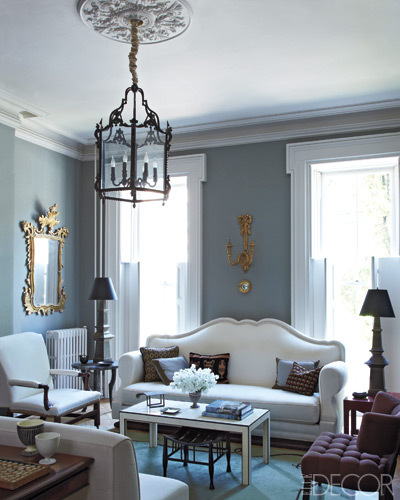 Mix and Chic: Home tour- A graceful New Jersey brownstone! 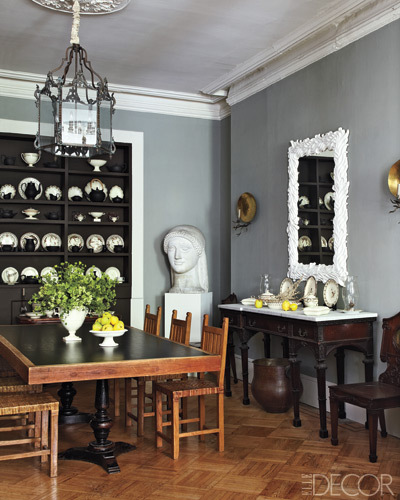 With graceful curves and classic lines, this gorgeous home feels elegant and inviting. 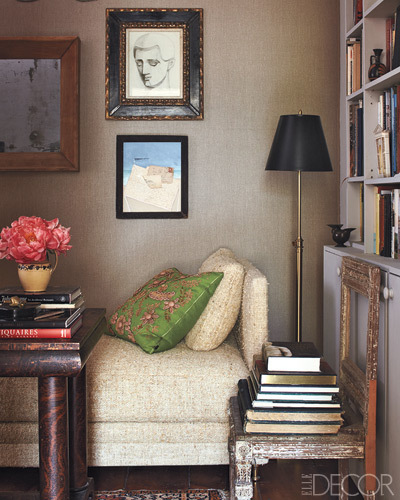 Do you love this home as much as I do? Which piece caught your eye? Any favorite room? This home is lovely. 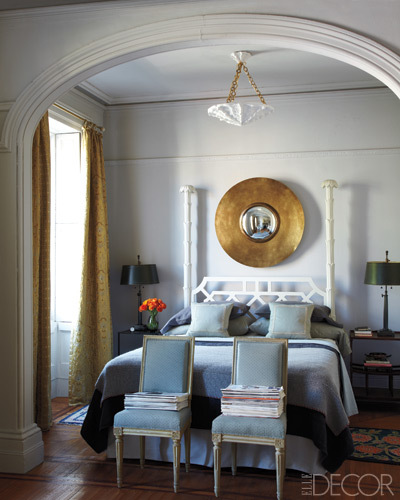 The archway in the bedroom is so pretty, and I love the chaise and the unique, sculptural tables in the last image. I love the staircase from the second image, so dreamy. I love it. Wow! I just love this house- not too fancy but just fancy enough to remain comfortable. 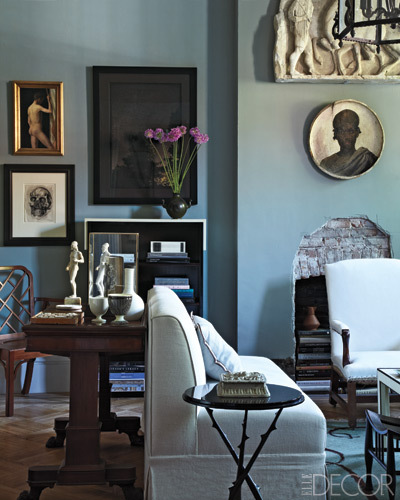 And the floors, the floors in those old homes are full of craftsmanship-beautiful. yes, it cought my eye, indeed! I love the white chester. Certain areas in NJ are full of old beautiful brownstones. It's nice to get a peek into one. 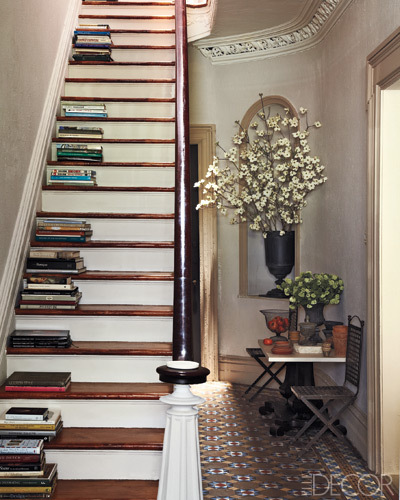 I love the drama of the staircase with the books. 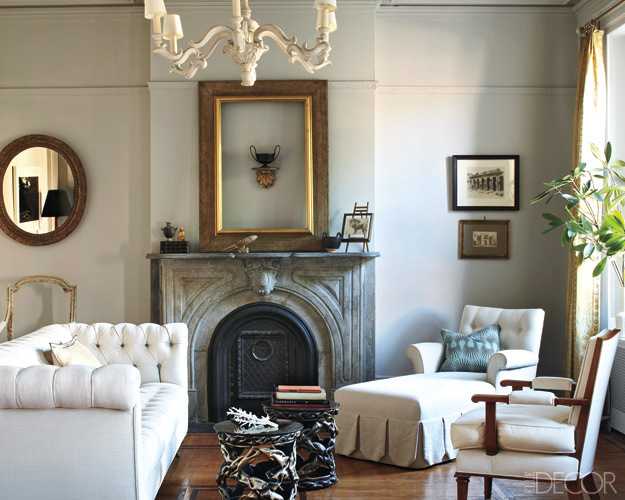 Love brownstones, but this one is especially lovely.